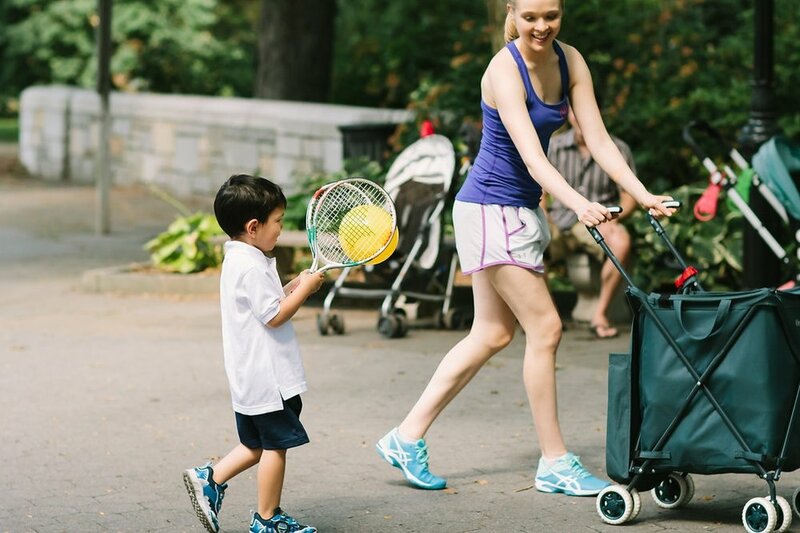 Racquetiers — Kids Tennis Co.
A play-based program for young children that provides the most age-appropriate introduction to tennis, making players feel successful with every swing! Racquetiers uses smaller, size-appropriate racquets, larger and low-compression balls and smaller nets to make the game more accessible, engaging and fun! Our proprietary PLAY-based curriculum and innovative equipment help develop body awareness, tracking skills, balance, hand-eye coordination, dynamic movement and basic athletic skills – all in a highly motivational, safe environment. Classes are taught by highly energetic certified tennis professionals who have been trained in the Racquetiers curricula & methodology. Balance - managing the body while moving & staying within the bodies enter of gravity.